Riley B. Cooper of Oklahoma City, Okla. wrote: "Re: the BBZ – excellent article. The idea of the fish coming to the lure instead of the usual lure to the fish makes sense. I think this happens with some other types of baits, especially rattling baits. 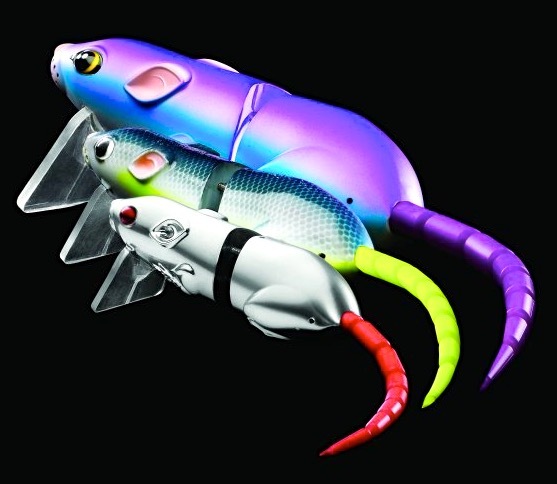 It would be interesting to know if the effect of water displacement from a large swimbait has as much "sound" as a smaller rattlebait. If Someones Knocks On Your Door Will You Get Up And See Who It Is? "...this series of articles is making me think and question some of the assumptions I've always followed." "Along that same line, can a bass home in on a large swimbait in dingy or muddy water as well as they do for "louder" baits? If nothing else, this series of articles is making me think and question some of the assumptions I've always followed. I look forward to the next one." And Mike Ellenstein of Newburgh, Ind. wrote: "Re: Big Bass Zone – excellent article. Really got my interest. I think I understand more what I'm trying to accomplish with the swimbaits. I'll put more effort – effective effort – into swimbaits this season." To Riley and Mike – and to all of you out there thinking the same thing – bravo. When the Big Bass Zone first appeared on BassFan, we recognized the impatience some anglers felt about getting past the thought process and right to the how-to. Quite frankly, it didn't surprise us. This is the way fishermen have been trained. In the past, acquiring the proper mindset, or finding that elusive "zone," seemed like so much voodoo – especially as it related to bigger bass. There was never a roadmap to the promised land. Trust us, there is a method to what seems like our madness. In your comments, you both took the first steps to what we call "going psycho" – when you step outside the boundaries of what you think you know and start to look at things from a different perspective. For instance, Riley began questioning how bass receive and interpret sound. Most likely, he's already experienced (as we all have) certain things while fishing that once were question marks, but now suddenly make sense. And, with a newfound willingness to look for answers, you can discover new tactics based on your own experience. Most every angler knows that sound travels faster underwater and that bass process sound in several ways. The degree to which bass can respond to sound – distance and direction – is not as thoroughly understood. Do some lure sounds create a more discernible noise that can be tracked down at greater distances? If so, what's the most productive combination? Is water displacement more important than sound? How much importance should be placed on any of this? Of course, the point here is to make you think – question the status quo and step out of the standard fishing rut. When you do, the questions come fast and furious. Bill Siemantel has often wondered: "Can a bass pick up the heartbeat of a single bluegill? Or even the combined heart palpitations of an entire school? If they can, how could they use this to their best advantage?" And Mike Ellenstein realized that more effort is not the key, but more "effective effort" is. This is at the very heart of the Big Bass Zone philosophy. Remember, practice doesn't make perfect. It's perfect practice that makes perfect.